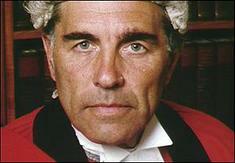 Lord Phillips, the Lord Chief Justice, believes that aspects of Sharia law should be adopted in Britain. Having recently read Milestones, a manifesto for political islamism by the radical Sayed Qutb, I could not disagree more strongly. Not merely wrong-headed, Lord Philips - like Rowan Williams before him - can only have encouraged those inspired by Qutb's teachings. Setting aside the debate about sharia, what does this all say about our judges? Many people will feel uneasy with the news that the most senior judge in the country advocates legal separatism. Yet surely this is not the first time that the behaviour of our judiciary should give us cause for concern? Until a generation or so ago, judges in Britain tended merely to interpret the law. Acts of Parliament and the Common Law were the main sources of the law. Today, activist judges no longer merely interpret the law – they adjudicate on the basis of numerous charters and conventions that give them enormous scope for activism. Judicial activism has not come about because of any conscious decision taken by Parliament, but at the behest of an expansive and ambitious judiciary. Judges adjudicated on the basis of the European Convention of Human Rights before it was formally incorporated into UK law - giving lie to the idea that judges are only doing what Parliament asked of them. The notion of judicial review, which did not exist until recently, is entirely the invention of our learned friends. Should we be concerned by judicial activism? Given the failure of the legislature to hold the executive in check, is there not a case for welcoming it? The failure of Parliament to hold Ministers and government to account has, it is true, given some faux legitimacy to judical activism. Yet the problem with relying on unelected judges to do the job of elected Parliamentarians is pretty obvious; it is not democratic. A lack of democratic accountability explains why it is that judicial activism only ever seems to happen one way. Judges, like Lord Philips, only seem to call for legal relativism – you don’t hear them demanding the opposite. Judges only seem to instruct the executive not to remove people from Britain – I’ve yet to hear a case of a judge demand that the Home Office deport an illegal immigrant in accordance with our laws on entry. A judge rules in favour of Abu Qatada? No surprise there, then. Perhaps it is time to rethink how we make judicial appointments. Today, a quango – the Judicial Appointments Commission – decides who our judges are. Yet if such appointees are going to take an active interest in questions of public policy, surely there is a need to start democratising the way such appointments are made? How about public confirmation hearings? If a particular human rights lawyer is up for a judicial appointment, and they have a particular "beef", might it not be an idea to air that before handing them the job? Some will balk at the idea of "politicising" the judiciary. But it is the judges themselves – like Lord Philips today – who have crossed over into politics. Whether we have sharia law in the UK is a profoundly political question. If Philips is going to not merely take a view on such matters, but adjudicate in a way that facilitates such a change, he must be made democratically accountable. What activist judges regard as their precious independence, the rest of us are beginning view as a basic lack of accountability.